VR is happening people, weather you like it or not. And Funny or Die is all on board. 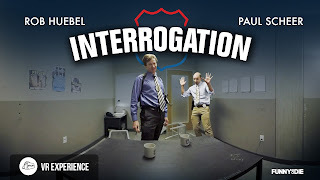 Now, rather than just making one of their comedy videos full screen to enjoy a good chuckle, you can be fully immersed in the experience with their VR experience Interrogation. So now, you don't just get to watch a really long fart joke, you can be immersed in a really long fart joke (as long as you have a Samsung Gear VR).